Gladys was dealing with injury after a bad fall and preparing for an upcoming cataract surgery when her grandchildren hired Comforts of Home – Care to help her out. She was delighted to have a caregiver in her life to enjoy some of her favourite activities (especially Dominos) with her! Gladys didn’t let age or injury stop her from enjoying life to the fullest. Even after a bad sleep and feeling sore from her injury, she was always in positive spirits, talking happily about her beloved grandchildren. Her caregiver went with her to buy new, comfortable shoes with good traction so that Gladys would be able to go out for short walks. Together, Gladys and her caregiver began a lovely routine of walking around the hallways of her building and playing Dominos together afterward. She was also overjoyed to be able to see the little dots on the Dominos within a week of her cataract surgery, and suggested that they go to a garage sale together the following weekend. Gladys wasn’t going to let her recent surgery stop her! It was a couple weeks later that she modelled a new summer wardrobe for her caregiver before enthusiastically getting to her exercises. She loved the feeling of being active in any way. Gladys and her caregiver enjoyed many sessions together listening to music and simply sitting together and having long conversations. Until she passed on, Gladys made the most of every day and loved having her caregiver around. 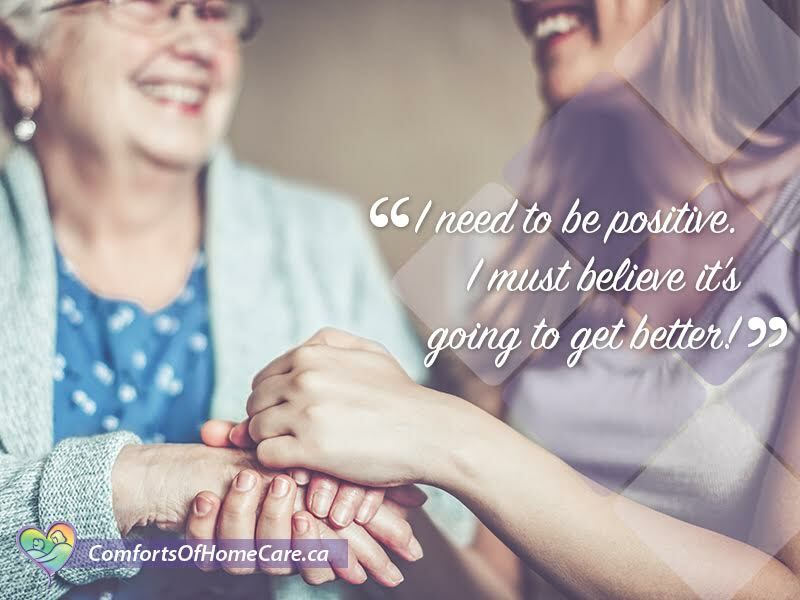 They formed a close bond and it made all the difference for Gladys to have company and assistance when her condition worsened. Her positive spirits brought joy to those around her and made her final days more peaceful. She was truly a remarkable lady! I always enjoy reading your newsletters. Feels like I’m sharing a coffee with you when I read these!